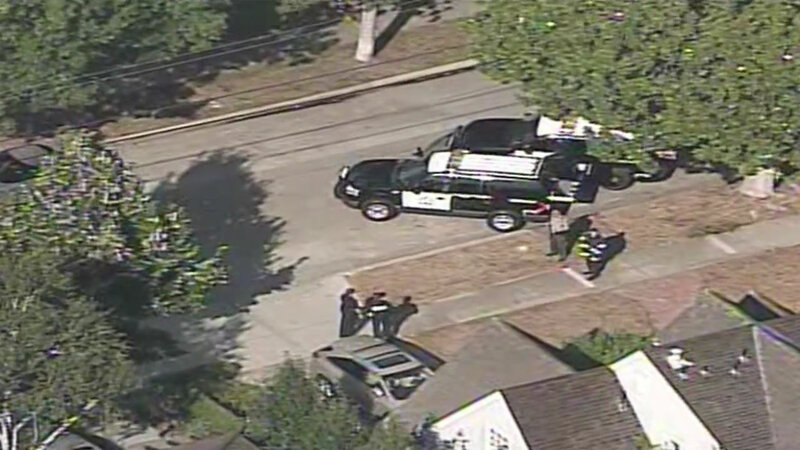 PALO ALTO, Calif. -- A Santa Clara County bomb squad has detonated World War II-era grenades and mortars found Thursday afternoon in a home in Palo Alto, police said. The grenades and mortars were found this afternoon by a resident cleaning a home in the 1900 block of Webster Street, police said in a Tweet posted at 4:49 p.m. The resident moved the grenades to the driveway of the home before police arrived on scene. The home where the grenades were found and homes on either side were evacuated and other residents in the area were asked to shelter in place. Police said the bomb squad determined one of the grenades was live. They were buried and detonated around 7:15 p.m., according to posts on Twitter by police.